The Familiar: Cool Screenshots. Great Rewards! Go for the Easter eggs, Boo, GO FOR THE EASTER EGGS! 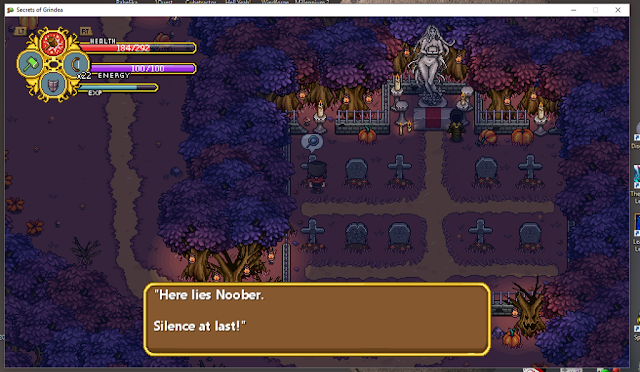 A video game Easter egg is a secret message or part of a game that’s been hidden from the player. They're often clever nods to other pieces of popular culture. 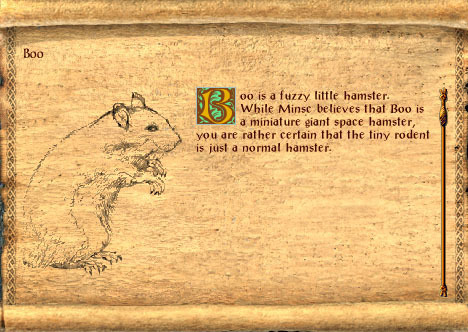 Baldur's Gate titles not only contain many Easter eggs, but their characters, spoken lines, and items have found their way into other games. Here are a few of our favorites. Dragon Age: Origins is a spiritual successor to BioWare's previous Baldur's Gate and Neverwinter Nights franchises, and a longtime favorite with the Beamdog team. 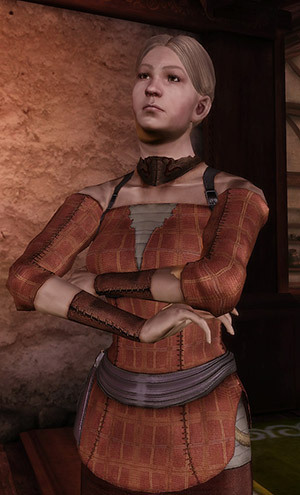 In a Denerim tavern players can meet a red-robed woman named Edwina, a reference to Edwin Odesseiron and his gender transformation quest in Baldur's Gate 2: Shadows of Amn. In DA:O's Witch Hunt DLC, it's also possible to find "Does This Book Have Griffons in it?" a book that may be a shout out to Jan Jansen and his obsession with griffins. 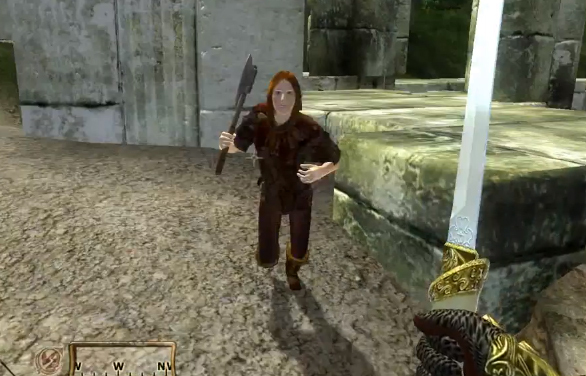 Countless groups of bandits roam Cyrodiil in Bethesda's Elder Scrolls IV: Oblivion. It's common to hear them shout out "Jump on my sword while you can!" when attacking, a clear reference to one of Minsc's famous battle cries. Another famous BioWare RPG, Mass Effect 2, has some of the most well-known Baldur's Gate Easter Eggs. 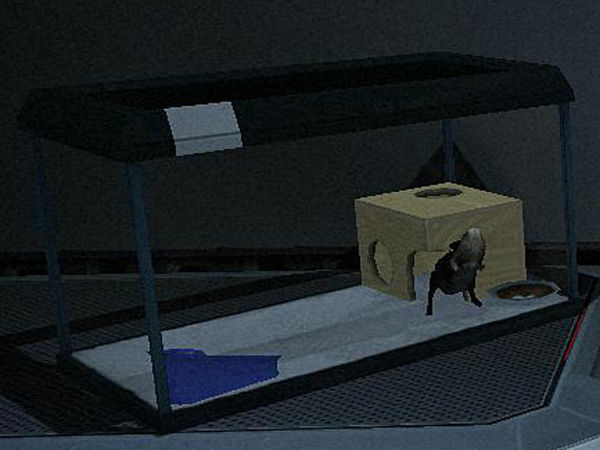 Commander Shepard can purchase a Space Hamster pet in the Citadel station and later tell their new pet to "go for the eyes." Also, Tali's combat drone is nicknamed Chiktikka vas Paus, a reference to Fastpaws, the raccoon companion of Baervan Wildwanderer, a deity worshiped by Aerie. Tali also sometimes exclaims, "Nothing's faster than Chiktikka vas Paus!" which which is very similar to Aerie's line, "Faster than Chiktikka Fastpaws!" CD Projekt RED has many Baldur's Gate Easter eggs hidden in The Witcher 3: Wild Hunt, so we'll only mention a few. During his adventures, Geralt can find a unique steel sword called Daystar, a reference to the sword guarded by a lich in Athkatla in Baldur's Gate 2: Shadows of Amn. Silver Pantaloons can be found in both Baldur's Gate and The Witcher 3. While not terribly useful to Geralt, players in Baldur's Gate II: Shadows of Amn should hold onto them to create the Big Metal Unit full plate armor in Baldur's Gate II: Throne of Bhaal. For many, Obsidian Entertainment's Pillars of Eternity was a return to classic RPGs. No wonder there are Baldur's Gate Easter eggs in this game. One of the most obvious is the Pillars of Eternity pre-order reward, an in-game Giant Miniature Space Piglet pet. Here's a trickier one: in Gilded Vale players can visit The Black Hound inn, a name that might be a reference to a cancelled Baldur's Gate 3 project. Now gathering party of two for venturing forth. Party of two, this is your final call. Divinity: Original Sin by Larian Studios quotes one of Baldur's Gate's most famous phrases, "You must gather your party before venturing forth" when a split group tries to exit an area. Secrets of Grindea, a fantasy Action RPG by Pixel Ferrets currently on Steam Early Access, has a fun Easter egg found by Baldur's Gate fan, Ivaar on the r/baldursgate subreddit. We guess they chose to throw more than stones at Noober. Join our Easter Egg hunt! Let us know about Baldur's Gate Easter eggs you've found in other games on our forums and in the comments below, or send us a tweet @Beamdoginc.